There are so many options to consider when you're trying to make a backyard or patio that fits your needs and looks beautiful as well. It's for that reason that consulting hardscape and landscape design experts is so crucial. Many times these sorts of jobs are too difficult for people to complete on their own, which is why businesses that help design and build such outdoor creations are so helpful. This is particularly true when it comes to deciding on materials and how to put them to use. Right now, we'd like to look at three different things that are commonly used in the design of paved walking surfaces in backyards: flagstone, pavers, and concrete. Flagstone is a sedimentary rock that is commonly used for paving slabs or walkways in backyards and patios. They are very sturdy and resist the effects of weather rather well. 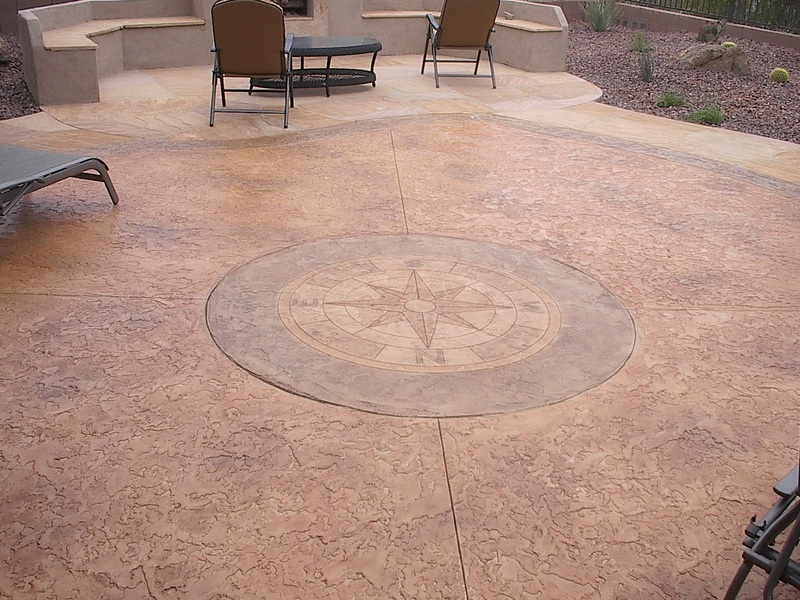 Flagstone usually comes in yellowish brown, red, and blue, though many different finishes are available as well. In general, flagstone is more expensive when compared to pavers and concrete, and sometimes the color choices can hamper design concepts. Yet many people enjoy the strength, look, and durability of flagstone. Concrete pavers are manufactured pieces that can be used as paving slabs and walkways. They are fairly common in landscape and hardscape design, and there are many different shapes, sizes, and looks available that can suit various needs. There are even some pavers that are made to simulate the appearance of natural flagstone. Pavers are less expensive than flagstone and can still achieve excellent results in terms of their look depending on how they are placed and how they complement other elements in the backyard or patio. Concrete is a common element used in backyard and patio design as well, though it tends to be less desirable in terms of aesthetics when compared to pavers and flagstone. Many times people prefer the patterns and shapes that pavers and flagstone add to the look of the yard, whereas concrete is generally utilitarian. This isn't necessarily a bad thing, however. Weigh all of these carefully and make sure that you arrive at a choice that you're happy with. Don't rush into these decisions. We work with many people throughout the greater Phoenix area who want to add flair or charm to their backyards. When we meet with you, we will help you realize and refine your design concepts, and we'll also offer our own insight on how to make these ideas a reality. You'll have the final say, but with strong input and a knowledge of materials and aesthetics, we will help you realize your vision. 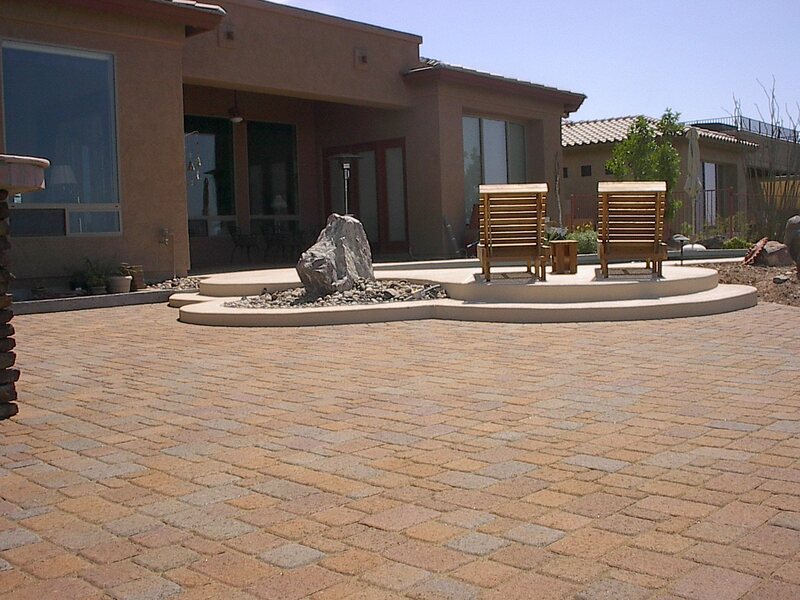 If you would like to learn more about flagstone, pavers, or even concrete when used for patio and backyard design concepts, be sure to contact our Arizona landscape and hardscape design experts today. Our entire team is eager to meet you in person and help you achieve the best possible results. (623) 551-2022 Call us anytime! Call us today to learn more about the available specials we currently have running!